The recent killing of Nine African-American’s inside a historic black church in Charleston, South Carolina, sent chills down my spine. It was another senseless shooting, by an apparently deranged killer bent on making a name for himself with this violent shameless act. Horrific in every way describable. The 24 hours news cycle immediately had on a parade of experts, politicians and others offering their opinion on why it happened, how it can be prevented next time, etc. But many of these ideas fall short in my view, because they don’t address the underlying issues regarding how we view each other as fellow citizens, how we interact with each other on a daily basis and how we fundamentally treat one another. What is lacking is a discussion of civility. Civility is a foundational building block for a healthy society. Defined by the Merriam-Webster dictionary as “: polite, reasonable, and respectful behavior”. Civility broadly speaking, is how we interact on a daily basis with one another in our conversations, business dealings, personal relationships, etc. Freemasonry has civility has one of its fundamental lessons and it lies at the very core of how we treat each other as brothers. Couldn’t society benefit from the lessons that are taught in our great fraternity? Politicians and pundits will never be able to fix all of society’s woes. As Freemasons, our fraternity has a unique opportunity to lead the way by example of how men of different faith, politics, and heritage can work together side by side to help improve each other and our fellow mankind. The Principles of Engagement are guideposts for attracting collaborators and establishing relationships among them. 1.​ View everyone in positive terms. Seeing everyone as a potential resource and agent of change helps to level the playing field and engage all stakeholders. 2. Develop a common language. The language we use can either unite or divide people. How can we discuss change if we don’t understand each other? Being aware of the problem, and agreeing on the terms to be used, is a good start. 3. Build strong relationships and trust. It is impossible to overstate the importance of trust, which builds bridges across boundaries and makes relationships solid. 4. Remember our shared humanity. It is easy to forget we are all humans, with more commonalities than differences. Common sense and history tell us we can work together to solve common concerns—and that when we separate ourselves, we are less effective. 5. Value both the process and the results. The gap between the two causes many people to give up on collaboration. Results-oriented people need actions with observable outcomes, and process-oriented people focus on continuing the methods that drive the action. Both are crucial for improving communities. 6. Look both within and outside the community for guidance. People living in communities need to take responsibility for their problems and find actions that will address them. But we also need to recognize when to accept and use resources that are available from outside of the community. All resources need to be leveraged around a healthy attitude toward self-improvement. The April-May edition of the California Freemason features some in depth articles of how Freemasons are working together to advance the ideals of a civilized society. It’s worth a read. Fellow Midnight Freemason Todd E. Creason, myself and a group of brethren are working towards establishing a new Royal Arch Chapter that will feature civility as one of our guiding principles in not only how we interact with each other, but with a goal of promote civility throughout the Masonic fraternity. As a Freemason the opportunity shape and improve our world is right in front of us, one person at a time. As an academic, I’ve done research in libraries and archives throughout England, and have come to know and respect their rules. They are there for a reason, and the reason is normally well founded and in place for the protection of their collections. There was one I heard of in my travels that I couldn’t figure out: researchers had to take their notes using a fountain pen. It may have been an apocryphal story, but it stuck with me, in part because I couldn’t figure out at first why that rule would exist. I was reminded of all that by my research into what now seems an anachronistic bit of Masonic history regarding membership requirements. There aren’t many prerequisites to becoming a Mason: a man must be of age, believe in God, and be well recommended. Things change of course. In Illinois, at least, the requisite age was once twenty-one and is now eighteen, which was a relatively minor change, and reflected the lowering of the voting age. Some changes, however, are surprising, not that they come, but that they take so long to achieve. 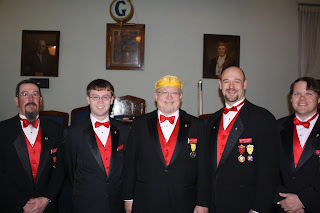 There was one Illinois requirement that lasted a long time, but which would likely startle my modern Brethren, given that it is the internal and not the external qualifications of a man that should recommend him to be made a Mason: a candidate had to be physically whole. Every candidate applying for the degrees in Masonry, must have the senses of a man, especially those of hearing, seeing and feeling; be a believer in God; capable of reading and writing, and possessing no maim or defect in his body that may render him incapable of conforming literally to what the several degrees respectively require of him. 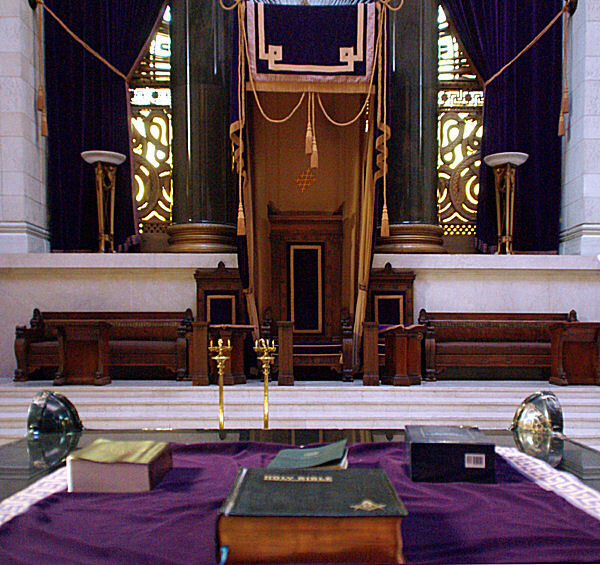 Grand Master or the Grand Lodge. Given that speculative Freemasonry is not designed to turn out operative stonemasons, the physical perfection requirement gives one pause, particularly the powerlessness of the Grand Master to make exceptions. A man who lost his leg in an accident was ineligible to receive his degrees, and nothing could be done about it, no matter how much a Mason he was in his heart. While the Constitution and By-Laws were renumbered over the years, with additions, corrections, and deletions, Article XII, whatever its number became, remained in effect. There is much agitation regarding the physical qualifications of candidates. Our law is rigid in the extreme. It follows from the origin of speculative masonry as a development from the operative art. The “perfect youth" theory, still held by many grand lodges, is a relic of conditions long since outgrown. It is the internal and not the external qualifications that fit men to be Freemasons. Even in times of peace our law has been considered unnecessarily drastic. Hundreds of thousands of young men have gone into the service of their country. Many of these are under age now. These, the flower of our young manhood, are at the front battling for the liberty of the whole world and are the special guardians of American institutions. It is my opinion that our law should be so changed as to permit these returning heroes, though maimed and torn in our defense, to apply to our lodges for admission. Of course suitable regulations should be made so that the grand lodge, through the grand master, can supervise and control in cases where this might be abused. I therefore, recommend that an amendment be prepared to bring about the change suggested. 443. Every candidate applying for the degrees in Masonry must have the senses of a man, especially those of hearing, seeing, and feeling; be a believer in God; capable of reading and writing in English, and possessing no maim or defect in his body that may render him incapable of conforming to what the several degrees respectively require of him. Provided that in case of any such maiming or physical defects, on petition of five members of the lodge, the secretary shall transmit the petition to the grand master for his decision. Should the grand master upon investigation deem it advisable so to do he may in his discretion issue a dispensation permitting the lodge to proceed to ballot on the petition. One year ago an amendment was made to Section 443 of the Code regarding physical qualifications. This provided for an investigation by the grand master as preliminary to the granting or refusing of a dispensation to allow those to petition who were not physically qualified under the law as it stood. I found so many applications being made that it would have been impossible for me to have gone into all these cases. In order to make sure that I was acting in accordance with the best interest of the fraternity, I called together the Grand Master's Advisory Council. This was attended by all the elective officers of the grand lodge together with chairmen of the various committees. After a very thorough consideration it was the consensus of opinion of the Advisory Council that the grand master should not enter upon what seemed a hopeless task. I did not shrink from the labor and responsibility involved by the consideration of the many cases that would come to me from various lodges of the state. Following the recommendation of the Advisory Council I was of the opinion that it was safer and wiser to allow the lodges to follow the letter of the old law rather than to attempt to act under the spirit of the new. Whereupon a circular was issued under date of December 1, 1919, which fully explained the situation and which no doubt is on file in the office of the secretary of each lodge. For the foregoing reason I have declined to consider any cases that have been brought up under the amendment adopted one year ago. Many requests have been presented for dispensations to enable lodges to receive and act on petitions for the degrees in cases where the petitioners had not the physical qualifications necessary to enable them to conform to what the various degrees require of them. I have felt constrained to follow the course adopted by my predecessor, and issue no dispensations in these cases. I have never been fully convinced that it is wise to depart from the long established and until recently well nigh universal rule requiring that candidates have no physical defects which prevent them from conforming to everything the various degrees require of them. Although empowered to do so, I have therefore declined to issue dispensations waiving physical defects which the Grand Lodge itself has declined to do. Nothing in our constitutions so thoroughly indicates the antiquity of our Fraternity as this law, which hearkens back to the Middle Ages, when physical fitness had some justification in the regulations and administration of the operative Guilds of England, considered by many the cornerstone of present Freemasonry. Whatever importance external qualifications assumed in that day has evaporated in the subsequent emphasis placed on internal qualifications by our philosophy. A slight physical defect, under the present interpretation of our code, may close the door of fellowship to a man of the highest possible character and integrity, perhaps one a leader in civil life whose contribution to Freemasonry might be incalculable. Nothing could be more repugnant to the fundamentals of this institution. Nor can this travesty be justified by the provision that the Grand Master, in Illinois, has the power to issue a dispensation permitting the initiation of one under a physical handicap. Common justice and ordinary fairness dictate that this theory of quality be affirmed or rejected as part of our law, and not foisted…upon the individual you honor by elevation to the exalted office of Grand Master. Finally,…the dreaded, hateful, and dreary consequence of this gigantic military struggle, undoubtedly, will be the return to this State and nation, of too many men, constituting the very flower of our manhood and citizenry, and precisely within the range of age from which Freemasonry should draw its future enrollments, with physical defects incurred in the defense of this democracy. Are we going to cheer their return, and pay homage to their courage and stamina, which kept this country safe for us, and then slam the doors of our lodges in their faces, because their heroic defense of us brought them the sacrifice of some physical member? Are we going to say to these heroes, “You were good enough to protect me and mine, but you are not fit to be a Mason because in that defense you lost an arm, or a leg, or your sight?” Are we going to say to them and to the world at large that the bonds of fraternity and recognition between Master Masons is physical and not mental? Or are we going to practice our creed, and search a man’s soul, and nothing else, to ascertain whether he is worthy to be our brother! After laying over for a year as required, the amendment striking Code 277 was adopted unanimously. The physical perfection requirement in Illinois was no more. The question, of course, is why it was there in the first place. It seems to have been a holdover to the time of operative masonry, as Grand Master Mohr stated, but that it lasted so long and was held with such vehemence is at first glance surprising, given the number of strong arguments against it. It seems that many people regarded it as one of the Ancient Landmarks, but this was apparently due to its antiquity, rather than its utility, and antiquity alone is a weak foundation. As Brother Richard E. Kropf, chairman of the Committee on Legislation, said in 1943, prior to the vote that struck down the physical perfection requirement, “Your Committee has the highest respect for the so-called “Old Land Marks” of Masonry. But if this is an old land mark then we believe that in the light of present day needs and conditions and in the interest of progress it should be demolished.” And so it was. I’m glad it was, too, for the good of the Craft and for one selfish reason. Several years ago, I acted as Senior Deacon for a Brother in a neighboring lodge who had spinal problems. He was able to take a few steps at the time, but by the time he became Master of that lodge he was pretty well wheelchair bound. He was and is a great Mason, the spiritual embodiment of the kindness and selflessness that we are called to emulate. I’m proud to know him, and prouder still to call him my Brother. None of it would have happened had not Brethren in an earlier generation looked at the physical perfection requirement, asked why it was there, received an answer, and, recognizing that times and Masonry had changed, erased the so-called landmark. As to the archive that required a fountain pen, I finally figured out why that rule existed. When fountain pens, then known as reservoir pens, were first introduced in the nineteenth century, they were much neater and less likely to splatter ink than were dip pens, and the people who ran that archive decided to require them in the interest of neatness. They just never bothered to change it, and it finally took on the authority of an ancient landmark, for no other reason than its age. I have no idea if it ever changed, but if it did, it would have been because someone asked why it was there in the first place, received an answer, and said, “We have pencils. Let’s use them.” Perhaps Masons should ask why more often. After all, speculative or operative, using the right tool for the job is something we are supposed to understand. The beehive has always been one of the more enigmatic and puzzling symbols for me in Masonry. I’m not sure why...on the outside it seems so simple, but as we are taught throughout our Masonic careers, Masonry is like an onion, where every sign and symbol has layers upon layers of meanings which may be contemplated. As a combat veteran, this symbol of the beehive and idea that I should put all of my efforts into whatever I’m doing, whenever I’m doing it has taken on a whole new perspective, and helped me to understand what the beehive means to me, in terms of my personal life. 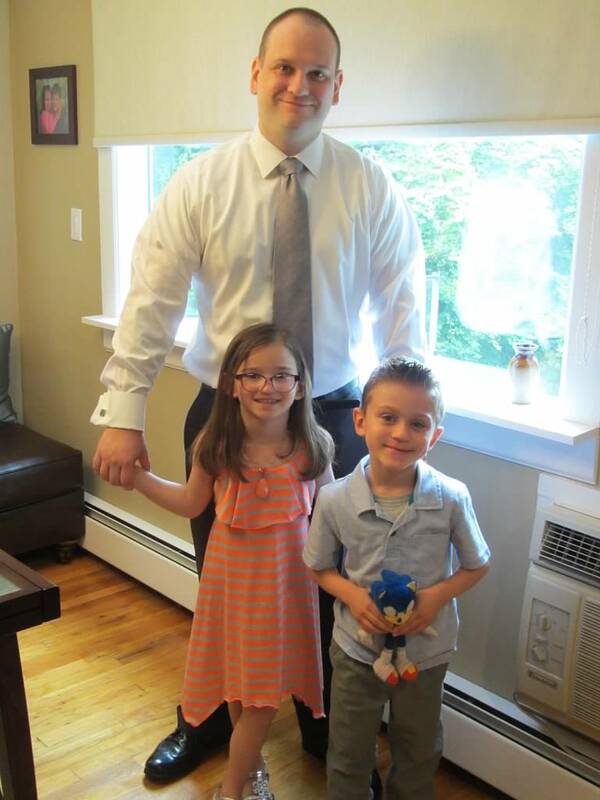 As an author and veteran advocate on many fronts, I’m often asked why it is that while I had some issues with PTSD after my last trip to Iraq, I’ve been able to bounce back so quickly. Many attribute it to Special Forces training and selection, thinking that my brain was selected for some innate difference, my uncanny ability to compartmentalize the horrible things I’ve seen and be able to lock them away when the demons grow too loud. I attribute it to Masonry, and the beehive. You see, I took my dad very seriously when he told me to always put my best efforts into whatever I do, and have tried to live my life in that way. I made it through the grueling Special Forces selection process by applying that thinking to everything I did, telling myself that if I already knew I was being tested every day, at least there was no question in my mind of how important my output was. In Masonry I learned not only to put everything I had into whatever efforts I was pursuing, but to also divide my day so that it wasn’t all work; with my personality type and drive, if that lesson had never been learned I would work myself to death and not even realize it until my soul was on the eternal journey to the Lodge built with no hands. But most importantly, I believe that my faith in the beehive, division of my day and living by the plumb have been the most important factors in the difference between me and those veterans who find themselves wracked with the horrors of wars past, drug & drink addiction, and an inability to fall back into the step of civilian life. I truly believe the old adage that “idle hands are the devils tools,” and have found that time and again those who have the most difficulty coming home from war are those who have nothing to come back to. Being idle starts a man on the dreadful downward spiral; he sits at home because he can’t find a job, and gets a little depressed so maybe he starts drinking, or gets into drug abuse. That keeps him inside rather than in the sun, where the suns rays are necessary for the brain to release natural anti-depressant chemicals and vitamin D.
His sleep cycles are also disrupted via the lack of sunlight and booze and/or drugs, which not only cause a higher level of depression but also sap away the motivation he once had to even get outside and find a job. Like any downward spiral this one may be broken, but the man, veteran or Mason finding himself there needs a little help breaking it. This can come in the form of friends, family, Brethren, or the symbolic meaning of the beehive. I’m again fortunate that my upbringing and personal internal fire never allow me to rest on my laurels very long, and as soon as I left the Army I was off onto other adventures in the private sector. But I’ve seen many a fellow veteran or civilian standing in the unemployment line or asking for change on the street corner and can’t help to wonder what change a teaching of the beehive symbology would represent in his life. 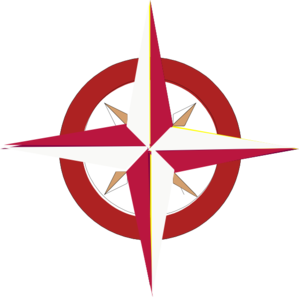 Perhaps it is such a profound and integral part of Masonic symbolism because of that downward spiral, and that in the attempt to make “good men better” the symbol is used to teach us that not only should we stay busy, but that if we do allow ourselves to rest for too long, the beehive may die and we along with it. Masonry uses more than a few exoteric seeming symbols to explain or allude to the esoteric results. The idea that when we stop the pursuit of living our 8 hours of labor as the symbolic beehive we begin to fall downward resonates deeply with me from my own personal experience and observation, and I feel that while we use the symbol of the beehive to represent fastidiousness, it is also used as a warning. So I ask that if you ever find yourself slumping into the downward spiral, bored with your job, feeling helpless, going outside or socializing less, and allowing your own working tools to become idle, just remember the beehive. We are each a Light of our own within the Lodge, and subsequently a bee within the beehive of the great Lodge. The brighter the Light or louder the buzz comes from what we have to offer, how we live our lives, and what we bring to Masonry. In that, I believe that it is our solemn duty as Masons to use every second the GAOTU has given us on the earth to its fullest, in each of the divisions of our day. So buzz on, Brother bumblebees, and never forget the importance of that great symbol. Bro. Robert Patrick Lewis is a member of Los Angeles Lodge #42, and the Los Angeles Valley of the Scottish Rite, SJ. He is an author of two books; "Love Me When I'm Gone" a memoir about his time serving our country as a member of Special Forces and his newest "The Pact", a fictional tale of what happens when the US is taken over. A few years had passed since I had any real conversation with my friend about Masonry. In that time, I guess you could say we settled into life. My wife was doing a great job on the homefront, and our kids were in Pre-K. Law school ended, and I passed the bar exam. Work was still called “work” and not “play,” and my commute still gave my sciatic nerves reason to scream. I remember thinking that we needed to get “involved.” This was more than just going to every birthday party or going out to dinner with friends or barbecuing. That all seems to be part of what a typical suburban life would be. I just felt like we were not doing everything we could outside of our family life. We simply needed something to drag us into the community, so I started looking around. In the end, as noble as the surrounding organizations may be, they all either seemed to create the community they served or served only their immediate locality. There was nothing about education, nothing about self-improvement, nothing about serving the global community. Then I remembered: Freemasonry. My friend had recently been installed Master of his lodge, evidence to me that the Masons were a meritocracy. The time was now right. While reading late one night, I Googled a few things. I found the Grand Lodge of New York’s page and found several lodges within my vicinity. I read through the entire Grand Lodge site, including the “Becoming a Mason” section. With the care and pride with which the “About” sections were written, the notes on how Masons should conduct themselves in social media, the information it presented effortlessly, I re-discovered my interest in Freemasonry and re-upped my decision to pursue membership. 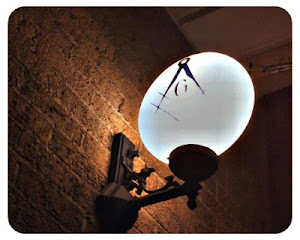 I deemed it kismet and started e-mailing the Grand Lodge and the lodge closest to my house inquiring about membership. I did not mention it to my friend. The Master of my local lodge returned my e-mail asking about why I was interested and re-directing me to the Grand Lodge’s site for additional information. He also posed a question I was not expecting: what did I offer Masonry. I honestly had no idea how to respond, so I reflected for a few days, wrote and re-wrote. No response was adequate in my mind. I went back and tried to figure out what I really thought Masonry was. Only a paradox seemed to describe it. I thought Masonry was a fraternity that was others-centric but self-focused. It reminded me very much of the Jesuits. 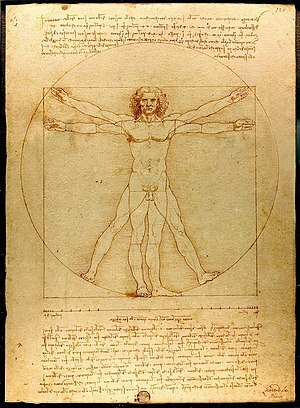 In my studies under their tutelage I picked up a lot, including ideals by which I have always strived to live my life. In his Freshman Address to my undergrad class, Rev. Joseph McShane, SJ, offered a simple phrase. “Those to whom much is given, much, in turn, is expected.” I thought this paraphrase of Luke and Spider-Man’s Uncle Ben was nice then, and a great way of reminding us that even though our school was beautiful and the professors are giving, we had to do the work. I was wrong; it was a call. In my senior year, I attended a talk called “The Secret Power of the Jesuits” by Rev. John O’Malley, SJ. Whenever anyone asked Fr. O’Malley how he was doing, he would reply, “Better than I deserve to be.” He explained the reason behind this was that life is a gift, and if life is a gift, then everything in it is a gift. He also defined “gift” as something a person receives that he or she did not earn. The secret power of the Jesuits was this perspective – recognizing that everything was a gift, nothing was deserved, so take full advantage of our time, even the bad times, as we deserve nothing. My response to the Master was that I wanted to learn and grow, improve the community while improving myself. I brought with me the notions that life is a tremendous gift and that everything we do should be conscious acts accepting and embracing that gift. I listed some of my gifts, namely my wife and children, my ability to learn, and this desire always to see each and every experience as a gift, as something I did not deserve. And since a gift the size of the world carries huge expectations, I also brought those and the efforts required to meet them. I finally thought the response good enough, and so I clicked “send.” Since the exchange continued, and we made plans to meet to discuss my interest in person, I assumed that it was. Like I said in Part I, the Millennial Generation, that generation born between the early 1980's and the early 2000's, seem to be natural born Freemasons. They are generous--81% of them donate to charitable causes in one way or another. Three-quarters of them are unwilling to compromise their personal values. They are educated--on their way to being the most educated generation in history. The majority of them see themselves as personally responsible for solving the world's problems. And they are tolerant--they believe in equality. As I said before, they already possess many of the characteristics that Freemasons value. So why aren't they beating a path to our door? There's a couple reasons perhaps--and I'm speaking in broad terms here, so I know it doesn't apply to all Millennials. But here are a couple things that come up over and over again when I speak to Millennials about Freemasonry. The majority of the Millennial Generation believe Freemasonry is a philanthropy. It's no wonder. Ask a Mason about Freemasonry, and you won't get far into that conversation before he brings up his Lodge supporting Little League, or the Shriner's Hospitals, or the Scottish Rite Learning Centers, etc. One of the members of my Lodge when asked always says the same thing "we raise money, and we give it away." These are great works, and Masons should be proud of them. But that's only part of it. That's not all we do, and that message is being lost. As I said, Millennials are already generous. They already donate time and money to causes they believe are important. Why would they go to the trouble of joining a Lodge and paying dues just to continue doing what they are already doing? Most Millennials have no idea our main purpose is making good men better--making better men, better husbands, better fathers, better leaders, better communities. We're an institution of learning, of self-improvement and personal growth. Charity is a part of what we do, but building men is our primary goal. If that message were getting through to Millennials, we'd see more of them knocking on our doors. The Millennial Generation is suspicious of large institutions. They believe corporations are inherently greedy. They believe government is corrupt. They've seen the level of disorganization in public education. They see organized religion as outdated. They even question large charitable organizations--they are more likely to donate time and money to a local cause than donate through a large charity. And they view Freemasonry as a large charity. For at least a couple generations, being a charitable organization appealed to perspective members--naturally we began emphasizing that aspect of our Fraternity. This generation--well, not so much. They already know how to give, and how to volunteer. It's how they were raised. What would appeal to them is much different than what might appeal to somebody my age, or my father's age. They want to learn. They want to grow. They would be interested in finding an organization that's values based. They value honesty and integrity. They are doers. And if they become interested in joining our Lodges, they are going to want to be involved. Too many of our current Millennial Masons complain that they aren't given the opportunity to be more involved in the lodge. If we want them to join, we have to give them an opportunity to be as involved as they are willing to be. That means a fundamental shift in a lot of lodges from our existing members being leaders, to becoming teachers. And we have to think about what we say when we're asked about Freemasonry. We have to be ready for the question. We have to say a little more than just "did you know George Washington was a Freemason?" or "have you heard of the Shriner's Hospitals?" We don't have to make Freemasonry seem "hip and cool" for this generation. It will appeal to them just as it really is, because that's what these young people are looking for. Perhaps a better way to begin to answer that question when asked is to start with something more like "so are you interested in becoming a better man?" All we have to do is be ourselves. Know thyself. Several years ago, out of the blue, a friend asked me what I knew about Freemasonry. He said he was looking into joining and wanted my opinion. I replied shrilly with what I remembered from European History class in high school, laughingly with the conspiracy theories the History Channel was promulgating and factually that I had seen them making IDs for kids at a few community events. Coldly and frankly, I also told him my opinion should not matter and that if this was something he thought would improve his life, he should do it. I explained that I did not have an opinion, that it would be unfair of me to have an opinion as I really knew nothing about them. A few paragraphs in a textbook and craziness from a TV network that regularly aired fifty documentaries on Nazi Germany alongside UFO Hunters interspersed with reverse mortgage ads would not suffice. However, I did offer two observations: the IDs seemed like a nice service and the guys who staffed the booths were always smiling and laughing together. A few days later, he told me was about to petition a lodge and that he would like to use me as a reference. I told him I would help in any way I could. The next time it came up, he explained he was going through his first degree that same night. We spoke about it the next day. As hard as I pressed, he offered no details, just said that it was moving and not dangerous. This was just enough to tease me. Over the next few months, he changed. I could not put my finger on it. He seemed happier, had more confidence, focused on everything around us at all times. He was also studying; he took quiet time to himself. I was always curious, so I asked him what was going on. He explained it was Masonry. He had to elaborate. There were social events, to be sure, but Masonry was about serving others and improving himself. He wanted to put as much effort into it as possible. I of course, did not understand. Weeks passed and each conversation on Masonry remained as nebulous as the last. All he would offer was that one gets out of Masonry what one puts into it. I admit it was a frustrating line of conversation. Finally, I just remarked that I did not understand it, but that it seemed like he had been operating at full capacity after joining, and it was good to see. He glowed while speaking about his new brothers and the fraternity and their good works and their fellowship and how much he was learning. It seemed too good to be true, but I decided then that I had to see for myself. I asked my friend about joining, and he said he would be happy to be a reference. However, something kept getting in my head- the statement about only getting out what gets put in. Simply, I knew Masonry meant so much to my friend because he put so much effort into it. At the time, I was working long hours, with a three-hour daily commute, while attending law school part time and raising newborn twins. My wife is a saint, but adding something else to our plate at the time might well have put her in the Communion of Saints. It was not the right time, so I dropped it with my friend and did not speak to him about it again for another few years. I knew that when the time was right, I would explore it. Practically every Freemason has heard that iconic statement from Henry Clay, who served as Grand Master of Kentucky in 1820. Most, however, do not know the circumstances behind it, and what else Clay said along with it. Clay said it because, at the time, he was being courted to run for US President as the candidate of the Anti-Masonic Party! Clay, who conducted the only Masonic meeting ever held in the United States Senate chambers, had become disgruntled with the fraternity. He was fed up with the bickering, politics and hypocrisy he saw in some members. Anti-Masonic Party members knew about his views and went after him to join them. When he told them he would not renounce Freemasonry for the Presidency, he also said, "[Freemasonry] does more good than harm, although it does not practically effect all that it theoretically promises." I've never really liked that view. More good than harm? 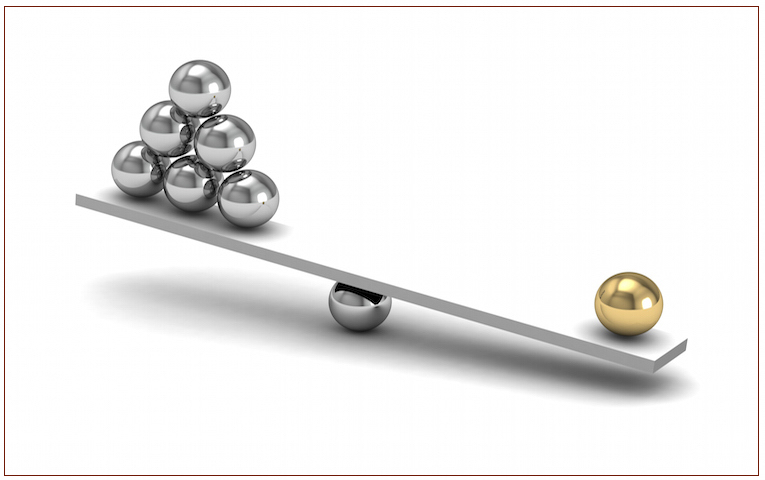 It almost seems he's putting the good and harm on equal footing, with the balance barely tipping in favor of the good. In my book, the ratio has always been something more like a million to one; up until recently, that is. These past few months have, by a long-shot, been my worst in the Fraternity. It started with a racist incident in one of my Lodges that turned ugly. As things escalated and got out of hand, I resigned from that Lodge. One Brother suggested I should "stay and fight." Oh, I'm fighting all right, but being a member of that Lodge is out of the question until the offending "Brother" is thrown out of the fraternity. The Master of the Lodge, who started the whole thing with what he thought was an innocuous joke, did, in fact, resign his position. Fast forward a few weeks and I witnessed an anti-Semitic incident in another Lodge. This came from a member of a youth group but, when I protested, her father — a Freemason — backed her up. Right on the heels of that came a reprehensible situation, fueled by that deadly duo of greed and power. To say any more about that would only serve to throw gasoline on the fire. Well, Brother Clay, you've made me a believer. We all have human frailties and, predominately for that reason, Freemasonry does not deliver all it claims. That Perfect Ashlar is a goal, never a reality. Searching for solutions to problems like these is frustrating. An individual trying to change the direction of the juggernaut of Freemasonry is like swimming alongside the Titanic in an attempt to push it away from the iceberg. These, however, are problems that will take years, perhaps decades, to fix; and no single person will make those changes — it will take a concerted effort. As individuals, meanwhile, we're left swimming alongside the Titanic wondering if there is anything at all we can do. There is. On one rather discouraging day all of these things were seemingly coming down on me at once. As I sat brooding, staring at my PC, a message popped up: "Coffee klatch, today, 9:30AM." A coffee klatch? It sounds like something my wife, Carolyn, would go to at one of her DAR meetings; but this was something the Scottish Rite had set up — just a simple get-together for no reason in particular. I went. It was even less formal than I expected. We didn't even gather as a group. We just milled around shooting the breeze — sometimes two or three of us, sometimes a larger group. That was it. We just shared bad coffee and good brotherhood — none of the bickering, politics or hypocrisy that bothered Henry Clay. Many of the problems I'm facing... we all sometimes face... come from a few bad apples. But the majority of our members are friends and Brothers who can offer support. I walked away feeling a thousand times better. That's when it hit me. "What come you here to do?" , is Past Master of Liberty Lodge #31, Liberty, Missouri. He is the editor of the Missouri Freemason magazine, author of the book Freemasonry Crosses the Mississippi, a Fellow of the Missouri Lodge of Research and also its Worshipful Master. 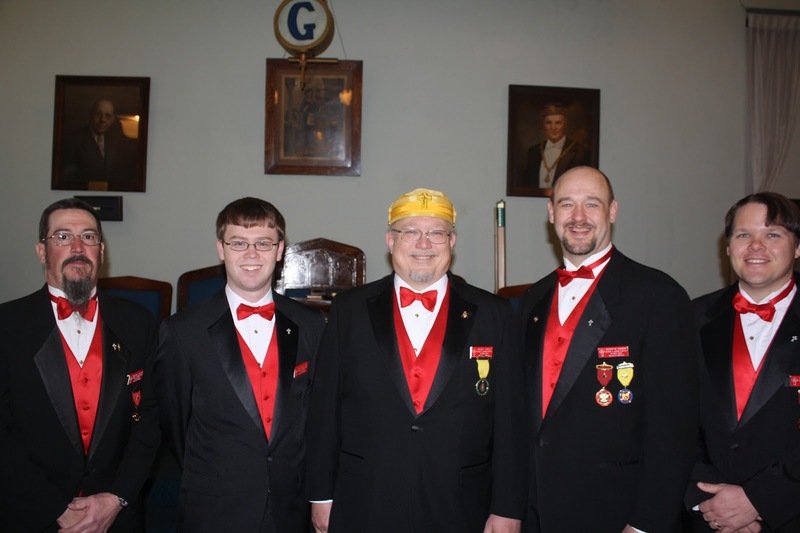 He is a dual member of Kearney Lodge #311, St. Joseph Missouri Valley of the Scottish Rite, Liberty York Rite, Moila Shrine and a member and Past Dean of the DeMolay Legion of Honor. Brother Harrison is a regular contributor to the Midnight Freemasons blog as well as several other Masonic publications. His latest book, Freemasons: Tales From the Craft, is available on amazon.com.